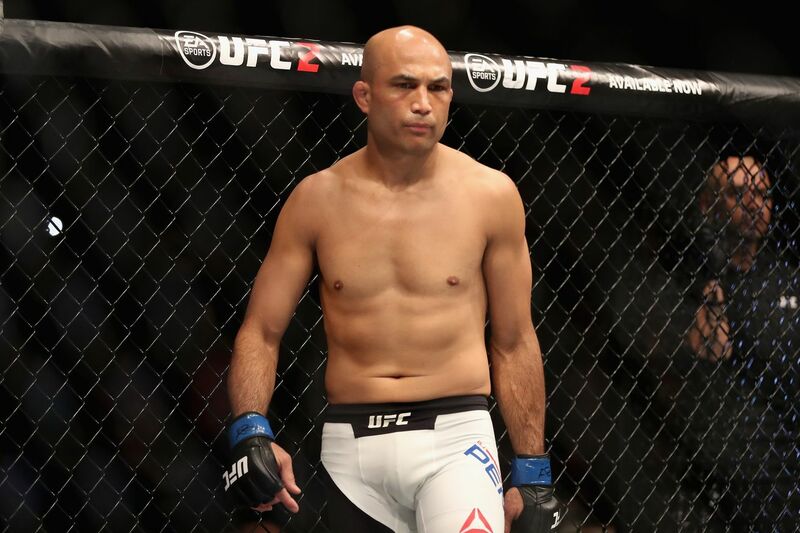 BJ Penn has released a statement following his loss to Ryan Hall at UFC 232. The former lightweight and welterweight champ was coming back after a two year break from the sport, and he actually looked pretty good right up until things went horribly wrong. Hall is another up and coming killer with nasty leg locks, and he used that proficiency to get the first submission loss from Penn in his 17 year MMA career. Here’s Penn breaking down what happened instead for his website, BJPenn.com. Fortunately, Penn’s leg is still in one piece. Penn went on to say he had the best training camp ever at Nova Uniao, but this time we actually believe him. Even with just half a round to review, Penn was way more aggressive and smooth with his striking than he was in his last stink fest of a fight against Dennis Siver. Maybe that was from not cutting down to 145 pounds. Maybe it was from not hating life because he was cutting down to 145. Whatever it was, this actually looked like Classic Motivated Penn™. Unfortunately, he ran into another monster. Funny how that happens to a lot of aging stars. ”I’m going to let my ankle heal up and then I will contemplate what is next for my life,” he said. Just going to put this out there: after what we saw at UFC 232, I’d be down for another BJ Penn fight. Maybe just not against another Yair or Hall? Kamaru Usman says he’s signed a contract to fight for the welterweight title. Dana White said he’s fighting for the welterweight title. 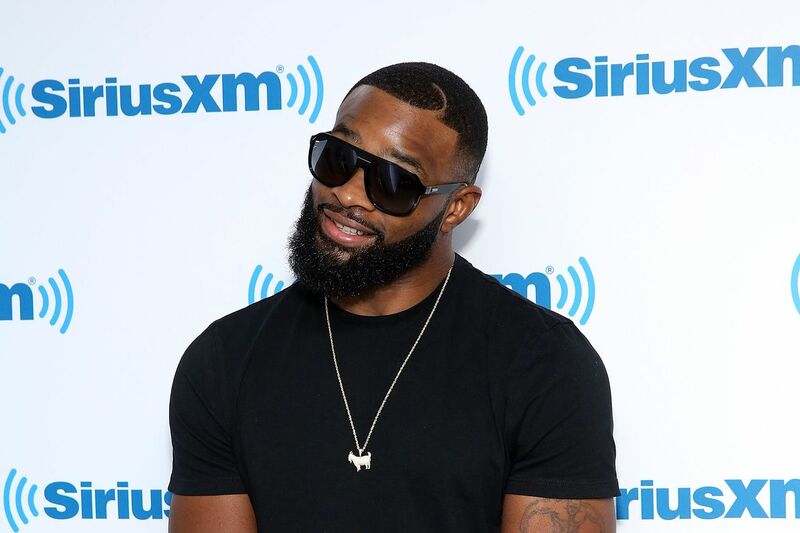 The only problem is, welterweight champion Tyron Woodley says he’s not fighting for the welterweight title just yet. Woodley wants to face former interim champion Colby Covington first. Covington has been running his mouth for a long time, evidently to little effect, except to earn himself a White House visit with Donald Trump. The UFC seems uninterested in promoting a fight between Covington and Woodley, giving Kamaru Usman the same opponents Colby just faced, as if to negate his best victories, and promptly stripped him of interim gold when he couldn’t make his unification bout with Woodley in September. Dana White has also been frustrated with Woodley, implicitly threatening to take his belt away unless he defends in March, though Woodley just defeated Darren Till in September. 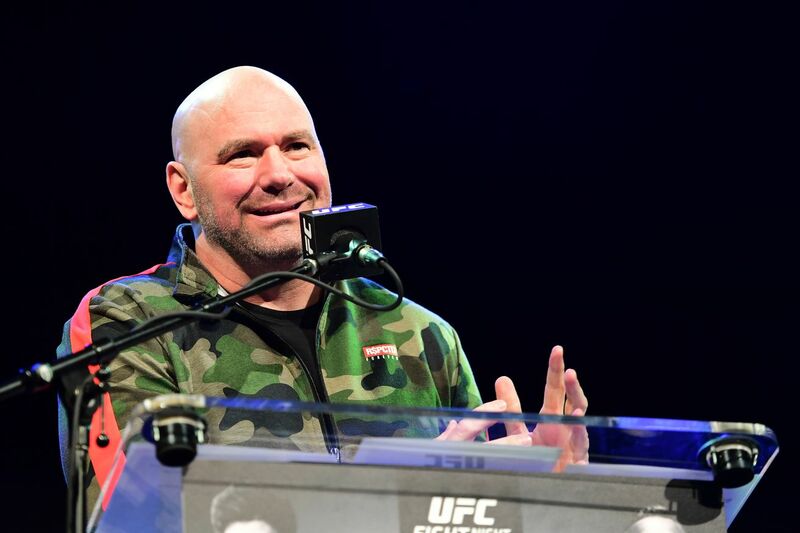 If the UFC did strip their sitting champion, it would be unprecedented, given that many champions have gone much longer between title defenses without this kind of visible frustration from Dana and Company. Signed contracts are not a guarantee of a fight happening. In the past, the UFC has used contenders, such as Khabib Nurmagomedov, against each other to lower fighter pay. This also isn’t the first time Usman has claimed he had a bout agreement signed to face the champion. Woodley, though, insists that Usman is flat out lying. How will the drama shake out? Will Woodley defend his title in March, and if so, will it be against Covington, or Usman? Former UFC fighter Kajan Johnson points out a long-standing flaw in MMA: the judges are accountable to no one for individual decisions. This is somewhat understandable, but it screws with fighters’ paychecks and careers more often than it should. Stipe Miocic is exactly the kind of silly that fits an Ohio firefighter. In case people need more evidence for Tenshin-Mayweather was NOT a ‘work’. MMA trainer Din Thomas with more explanation as to why MMA fighters might not be grasping the obvious reality of Mayweather destroying Tenshin. I hope this guy goes to jail for assault. Glad she clocked him, but he deserves worse than that. I just want to say that PFL’s million-dollar tournament, though I doubt its a sustainable business model, did give some lucky athletes amazing paydays, and thats always cause for celebration. 99% of MMA fighters do not get to retire with a million dollars in the bank, but Sean O’Connell does, and Louis Taylor does. Watching PFL victory speech from @louistaylor064 – what an outstanding husband and father: “That house is paid off baby. Their school is paid off ladies. I don’t need a nice car. I just need to make sure my family is fed”. What a champion. Inspiring stuff. Put the guns down! Dominance MMA is Ali Abdelaziz’s management company. He appears to have quite restrictive contracts with his athletes. Alexander Volkanovski is my pick to beat Max Holloway, if anyone at featherweight can beat him. I had a high school teammate named Czarnecki and man, you could hear the announcer pause before trying that one. That was nothing compared to this. Visit this website if you want your mind blown by insanely powerful cameras pointed at cityscapes. It’s time for part 2 of the game “Who Should Khabib Fight Next?” The premise is that UFC lightweight champ in Khabib Nurmagomedov is dominant, and needs an opponent after he clears the gaping legal maw of the Nevada State Athletic Commission. Khabib ideally deserves a money fight. But he just beat Conor McGregor pretty handily, forcing the Irishman to tap. So… who should be next? I say a good option would be Al Iaquinta. Forget names like Tony Ferguson. The MMA Gods have made it clear that pairing will never happen. And Conor needs an easy fight next, otherwise he’s in danger of losing some of his precious luster. Who else is there that could move the needle? How about the last person to go the distance with the Dagestani grinder? You know, the dude who took the matchup on about a day’s notice, and ended up going the distance. Heck, for his sheer grit, Iaquinta earned Khabib’s respect. So much so that Khabib watched “Ragin’ Al” beat up Kevin Lee this past weekend intently. If Iaquinta was able to withstand Khabib’s withering beatdown and go a full five rounds, how well would Iaquinta do with, say, a full fight camp to prepare? In case he hadn’t made his point clearly enough, he made sure to punctuate it “Raging Al”-style. What do you think? Not just if Iaquinta has a chance in beating Khabib, but if this is a worthwhile fight to make? The post Who Should Khabib Nurmagomedov Fight Next? – Part 2 appeared first on Caged Insider. At 48 years of age, one would think former Ultimate Fighting Championshiphall of famer Chuck Liddell would be enjoying retirement.